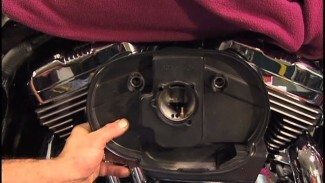 Unless you have a kick-start, you’ll need a battery to get your Harley started and to keep it functional. Bob shares some tips on battery replacement and upkeep. Batteries have come a long way since we shot this video. HD makes a great one but make sure to check out Yuasa and the lighter longer lasting lithium batteries made by several companies. How much compression can the OEM starter handle on a 03 Roadking. Just put a 95in.Kit in it and decked the heads .040 with a over size exhaust valve. Having intermittent trouble cranking. Just installed new AGM battery and problem still exists. Hi Kevin, Need to verify that the starter is in good working order. If this is your original starter, may be due for a rebuild. Also, test to see if your starter is getting proper voltage to its solenoid. You can try using a good jumper wire from your battery positive post to your starter solenoid. Remove the (usually) green wire 1st. This eliminates the rest of your harness. If it still has trouble turning over, you need to address the starter, or you have created too much compression. Just read your blog. dated 5/2015. Two years late but other members may be having my similar problem. Have a 2006 twin with S&S 106 stroker. Builder did not install comp releases so you know what my issues are. I did install a 2.0w starter which helped on hot starts. Cold starts the solenoid sings its song but will engage and start the engine. Static comp is 210 psi. Big boar makes a 600 cca battery I am going to try. Hope it resoles the issue. If not, well I,ll purchase FMX top end vid and do what should have been done in the first place. I’ve recently purchased a ’91 FLHTC and I’m having done low voltage issues. The bike always cranks over and starts fine, but while idling the volt meter on the dash will go as low as 8 volts. 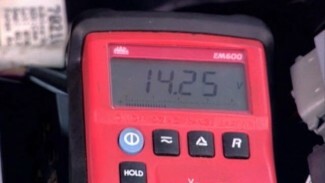 While driving, the volt meter will sometimes read 12, sometimes 12.5. This is all done with the passing lights and stereo on. If I turn off the passing lights alone, the volts go up to 13 and stays there. My question is, should I and can I put a larger amped charging coil in to replace the stock 18 currently in it? Hi, Timothy. We would suggest upgrading to at least a 32 amp charging system. It doesn’t sound like your charging system is functioning at 100 percent. Often, with age, grounds become an issue. Also, corrosion on pins & sockets. Especially on a model such as yours that has so many options. 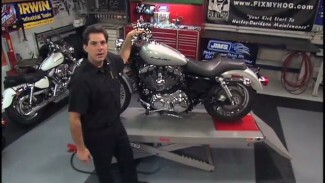 Hi Guys Im having problems with starting my 2010 Harley nightster. ! day it will start and everything is fine. Then I go to start her next day and all it does it turn over, wont start..any ideas?